Protection of your privacy is very important to us. These data protection regulations explain how your data will be collected and used by Nero AG, Rüppurrer Strasse 1a, 76137, Karlsruhe, Germany (“We” or “Nero”), and what obligations we have to protect this data. If you have any questions relating to these data protection regulations or require any further information, please send an e-mail to prvcynrcm. a. Reservation of consent: Any collection, use or transmission of information that identifies you personally or enables us to contact you ("Personal Information") through our products requires your prior express consent. b. Necessity of collection: Collection and transmission of your information is typically necessary if you want to make use of our services, make a purchase, register your product online or wish to provide us with your personal details so that we can contact you. For these purposes, either during the sign up process or registration of your software we may ask you for information including your name, e-mail address, country, language and payment information, your personal serial number for your Nero product and the internal version number of data carriers and software may also be transmitted during some registrations. Certain services require the transmission of information on Nero products that have already been installed in order to recommend suitable upgrades, program modules etc. for you. Such data is processed anonymously. c. Anonymous use: If you do not wish to register or provide any personal details, you will still be able to use most functions offered by our software. However, you may be required to register and/or provide information including your personal serial number before you can use certain services or functions. d. Disclosure by Users: Some Nero products, including the NeroKwik Online services and applications, offer users the option to share and refer their content to others. Through use of these options we may receive information necessary to provide these functionalities, e.g. your e-mail address, through these users. e. Your Content: Some Nero products, including the NeroKwik Online services and applications, offer users the option to store, access, manage, edit, share and synchronize their files (e.g. Images, Video and Audio) available on their PC, Mobile Devices or through Third Party Services (“Content”) on and through Nero Servers. Use of these products and functionalities requires Nero to collect and store the Content, including associated Metadata such as filename, bitrate, geo information, modification dates, description, tags and any other information embedded in the files to enable Nero to provide the services. f. Device and Log File Data: Some Nero products, including the NeroKwik Online services and applications, are made available to users on a variety of devices. Dependent on the device you use the following information may be collected solely to enable Nero to provide the services: Device ID, Device Name and Partition Information of the device. g. Product improvement program: When using certain Nero products, users can choose to take part in a product improvement program. In choosing to take part in such programs, you agree to Nero collecting and transmitting Nero software usage data from their system. Some applications may also use Google Analytics, analytics services provided by Google, Inc. (“Google”) to help analyze how users use the application. The information generated by the Google Analytics will be transmitted to and stored by Google on servers in the United States. Google may also transfer this information to third parties where required to do so by law, or where such third parties process the information on Google&apos;s behalf. This information is not of a personal nature and is sent anonymously to a secure server, where it is analyzed and used to improve the Nero Software products. No details about the content of the user is gathered. The following information is collected: Product name, installed applications, version, time and date of installation, country (as indicated by the operating system settings), operating system version and the number of times the program and certain functions are accessed, Device specifications, User region information and language. In any case, users can withdraw from the product improvement program at any time by deactivating the service in the software settings. h. Patent Activation: Some Nero products and applications require third-party technologies to work, some of which are integrated into this version as limited versions (demo versions). Online activation provides users with unrestricted access to these technologies, allowing them to use the full functionality of the software and preventing misuse. An Internet connection or a fax machine is required for the activation. Nero only transmits and processes data required to activate these technologies from third-party providers. The software will only transmit this data once you have provided your consent. Other than your IP address, which under certain circumstances is regarded as personal information in some jurisdictions, no personal information is transmitted to Nero. You do not need to provide either your name or any other personal information during the activation. i. Accuracy of the data: You can amend and correct your data via our registration systems at any time. Should our automated systems not accept or implement your changes, you can send an e-mail at any time to prvcynrcm, asking us to amend your data. Some Nero products offer users the possibility to access functionalities and information provided by third party services, including without limitation Facebook, Dropbox, Google+, Myspace and Youtube (“Third Party Services”). Please note that Nero cannot assume any responsibility for the data protection practices or content of these services or for the manner in which they may collect data. Access to any Third Party Services and Functions requires a corresponding account and verification. Access to any Third Party Services is governed by the Privacy Regulations of these third parties. a. Facebook: Facebook functionalities available in our products are provided by Facebook Inc., 1601 S. California Ave, Palo Alto, CA 94304, USA ("Facebook"). If you access such functionalities, a connection to the Facebook servers will be established. For further information on how Facebook collects and uses data, your rights in relation to this and further options for protecting your privacy in connection with Facebook services, please see the data protection information available on Facebook.com. b. Dropbox: Dropbox functionalities available in our products are provided by Dropbox Inc., 185 Berry Street, Suite 400, San Francisco, CA 94107, USA ("Dropbox"). If you access such functionalities, a connection to the Dropbox servers will be established. For further information on how Dropbox collects and uses data, your rights in relation to this and further options for protecting your privacy in connection with Dropbox services, please see the data protection information available on Dropbox.com. c. Google+ and Youtube: Both Google+ and Youtube functionalities available in our products are provided by Google Inc., 1600 Amphitheatre Parkway, Mountain View, CA 94043, USA. ("Google"). If you access such functionalities, a connection to the Google servers will be established. For further information on how Google collects and uses data, your rights in relation to this and further options for protecting your privacy in connection with Google services, please see the data protection information available on Google.com. d. Myspace: Myspace functionalities available in our products are provided by Myspace LLC, 407 North Maple Drive, Beverly Hills, CA 90210, USA ("Myspace"). If you access such functionalities, a connection to the Myspace servers will be established. For further information on how Myspace collects and uses data, your rights in relation to this and further options for protecting your privacy in connection with Myspace services, please see the data protection information available on Myspace.com. a. Designated purpose: Nero uses the collected information to justify, implement and process contractual relationships and to process associated payments. Some information may also be used to improve our services and products if your prior express consent to this use has been obtained. b. Transfer of information to third parties: Nero reserves the right to make customer information available to affiliated companies, partners and other third parties. However, any third parties are contractually associated with Nero and may only use the customer information to perform or conclude necessary transactions or functions relating to contractual relationships or products of Nero. Any transactions or performance of such functions by third parties must comply with the rules outlined in these data protection regulations. Any transfer of information from Nero requires the receiving party to ensure an adequate level of data protection in accordance with Directive 95/46/EC. c. Prosecution: In individual cases, Nero may make collected data available to the relevant law enforcement agencies for prosecution purposes, to avert danger, to fulfill the legal duties of the constitution protection authorities and to assert its intellectual property rights. d. Reservation of consent; no sale of data: Nero will not make any personal data available to anyone other than the abovementioned third parties without your prior consent. In particular, Nero will not sell the data of any customers or users of its Web sites. 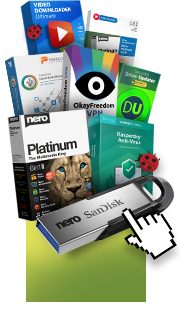 Nero provides significant protection to ensure the security of your information. This is achieved via the application of a variety of measures to protect your information from illegitimate access, use or disclosure. Technical examples include the encrypted transmission of confidential information, e.g. log-in, payment information and passwords, using the SSL standard as well as redundant storage of your information and content to ensure continued availability in case of hardware failure. Also, internal procedures strictly control and limit access to relevant systems. Despite our efforts to keep your information secure, please note that no system can provide 100% safety. a. Registration: When registering or using our products in other ways, customers are given the opportunity to sign up for the Nero Newsletter. This newsletter provides customers with information on special offers, updates, programs, new products and/or services. b. Unsubscribing: Customers can unsubscribe from the newsletter at any time via the link in the newsletter itself or by contacting us via prvcynrcm. a. Reservation of consent: Any collection, use or transmission of information that identifies you personally or enables us to contact you ("Personal Information") requires your prior express consent. b. Necessity of collection: Collection of your information is typically necessary when you register for one of our online services or wish to provide us with your personal details so that we can contact you. For these purposes, during registration we will ask you for information including your name, e-mail address, postal address and the serial numbers of any Nero products you have bought. If you choose to enter a competition or take part in any other promotional campaign, we may under certain circumstances require information such as your name, address, telephone number and e-mail address for competition management purposes and to enable us to notify the winners. c. Anonymous use: If you do not wish to register or provide any personal details, you will still be able to visit most areas of our Web sites. However, registration may be required to access individual services and pages. d. Information required for technical purposes: The above excludes information that your Internet browser transmits for technical reasons when you access our Web sites to ensure that the page content is displayed automatically. Such information includes the URL of any referring Web site, your IP address and the date and time of access to our Web sites, your browser type, browser language and browser variables. Your IP address allows us to identify which pages of our Web sites were accessed and how much time was spent on these pages. Your IP address is also used to collect general demographic data. However, we do not link IP addresses collected in this manner to personal data and we are not able to assign an IP address to an individual person in such cases. User sessions are logged but the users themselves remain anonymous. We do not use this information for any other purposes. e. Security: We store the collected data on a secure server in a private network. This increases the security of your data and reduces the risk of your data being misused by third parties. f. Accuracy of the data: Once you have registered, you can amend and correct your data via our registration system at any time. Should our automated system not accept or implement your changes, you can send an e-mail at any time to prvcynrcm, asking us to amend your data. The data may also be used to modify and improve our services, products and in some cases promotional activities. However, these partners or third parties that are contractually associated with Nero may only use the customer data to perform or conclude necessary transactions or functions relating to contractual relationships or products of Nero. a. Registration: When registering on our Web sites or using our services in any other way, customers are given the opportunity to sign up for the Nero Newsletter. This newsletter provides customers with information on special offers, updates, programs, new products and/or services. This Web site contains links to other Web sites. Please note that Nero cannot assume any responsibility for the data protection practices or content of these Web sites or for the manner in which they may collect data. Read the data protection policy of each Web site you visit with care, as this may differ from our data protection regulations. Our data protection policy applies exclusively to the Web sites listed above. a. Facebook: Our websites contain plug-ins from the social networking site Facebook.com, operated by Facebook Inc., 1601 S. California Ave, Palo Alto, CA 94304, USA ("Facebook"). If you access a page of our Web site that contains one of these plug-ins, a connection to the Facebook servers will be established and the plug-in will be shown on the web page following notification of your browser. This notifies the Facebook server as to which of our web pages you have visited. If you are logged onto Facebook during this process, Facebook will assign this information to your personal Facebook user account. For further information on how Facebook collects and uses data, your rights in relation to this and further options for protecting your privacy in connection with Facebook services, please see the data protection information available on Facebook.com. b. SocialTwist: Our Web sites offer functions from various social media platforms. We use SocialTwist for this purpose. For further information on how SocialTwist collects and uses data, your rights in relation to this and further options for protecting your privacy in connection with SocialTwist services, please see the data protection information at http://tellafriend.socialtwist.com/privacy-policy. c. Tracking pixels: Our Web site uses what are known as tracking pixels to trace commercial data. These are used to trace the effectiveness of promotional communication. d. Google Analytics: This website uses Google Analytics and Google Remarketing, web analytics services provided by Google, Inc. (“Google”). Google Analytics uses “cookies”, which are text files placed on your computer, to help the website analyze how users use the site. The information generated by the cookie about your use of the website (including your IP address) will be transmitted to and stored by Google on servers in the United States. Google and other third parties utilize the placed cookies to display advertisements based on the previous visits of this website. More information on Google policies regarding Privacy can be accessed via following links: http://www.google.com/analytics/terms/de.html or via http://www.google.com/intl/de/analytics/privacyoverview.html. Nero reserves the right to change, update or modify these data protection regulations at any time and without notice by publishing such changes, updates or modifications on its Web site. Nero, at its sole discretion, may also choose to provide notification of such changes via its product or services. Any such changes, updates or modifications will become effective immediately upon being published on the Web site. Nero encourages regular review of this statement to keep you informed on how your information is protected.